It’s often hard to decide whether you should use “madame” or “mademoiselle” in French. Of course, you know the basic rule: married: use madame, not married: say mademoiselle. However the reality is much more subtle than that. There has been a lot of talks about Mademoiselle versus Madame lately, but mostly on how to address a woman when writing a letter, especially when you have to fill in an official form, or for a subscription or something like that. 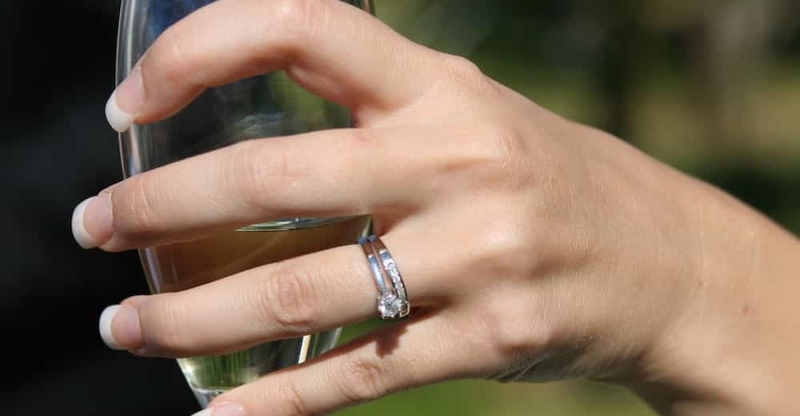 If the fact that you are a man or a woman can be relevant to the said subscription, your marital status – married or single – often isn’t: and is seen by some as an invasion of privacy. Actually, France Prime Minister Mr Fillon banned the use of Mademoiselle in 2012 from legal documents. Therefore in theory now, administrative forms and official documents do not use Mademoiselle any longer in writing. It is however considered much more polite in French to follow a “bonjour / bonsoir / merci” by “monsieur, madame or mademoiselle” when you speak. It’s a bit old school, but still VERY encouraged (although not adding a title is not impolite per se). First, please let me clarify the French pronunciation of both words, since I hear many mistakes on them. Do not say the first “e” in mademoiselle. It’s “mad moi zel” in French. For Madame, it’s kind of the same as in English except that the 2 A have the same strength: we don’t make a syllable stronger over the other one, and then we end on a strong M sound. “ma da m”. By the way, the plural forms are “mesdemoiselles” and “mesdames”. In France, no one would dream of calling a twelve years old “madame”. It would just sound really silly. It might be a “legal” status on a form, but that is not how you’d address a young girl. For young ladies, the word to use is still “mademoiselle”. The basic rule is simple. If the woman is married, you should say “madame”. If she isn’t, you should say “mademoiselle”. But what if you don’t know? If the woman is under, say 25, especially if she looks young, mademoiselle is fine. Over 25 or so, better use Madame. But don’t worry, half of the time I also wonder whether I got it right. And it’s no big deal really. Most women would not even think twice about it. It’s true that this little word is quite powerful since it’s undoubtedly linked to the perception people have of you: the age they think you are… And whether you “look” available or not !! I’ve also heard some older spinster insist on the use of “mademoiselle”. What were they trying to prove? I’m not sure. The first time I was called “madame”, I was riding the subway and I was forteen… It came to me as a shock! Granted, the boy who called me “madame” was probably ten himself, and I may have looked like a woman to him… So shocked, flattered, embarrassed… All this because of a title of politeness! However if you did say “bonjour madame” and the said 45 year-old woman answered with a big smile: “non, mademoiselle”, then, she is flirting with you! 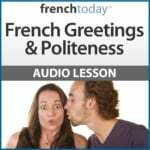 You will find more tips such as this one in my audio lesson about Politeness and Greetings. You may also be interested in this article: why French women don’t date – the French dating system explained.